/ Household Cleaning Tips – How To Remove Spin Mop Head? Household Cleaning Tips – How To Remove Spin Mop Head? Keeping a neat and tidy house or office is a very important thing that you must consider. Good people are always attracted towards cleanliness. But keeping a house or an office with the old and conventional techniques are not as easy as they were used to. Today, with the adaptation of many flooring elements, cleanliness has taken a different approach. So the best way to deep clean your place is to use a floor cleaning mop. But after a decent amount of cleaning session, the mop is bound to get dirty. Not only the fact that the mop is no longer something that you can use; it is also a portable RV for the disease infecting germs. If the mop is dirty, you are not likely to get the desired results. 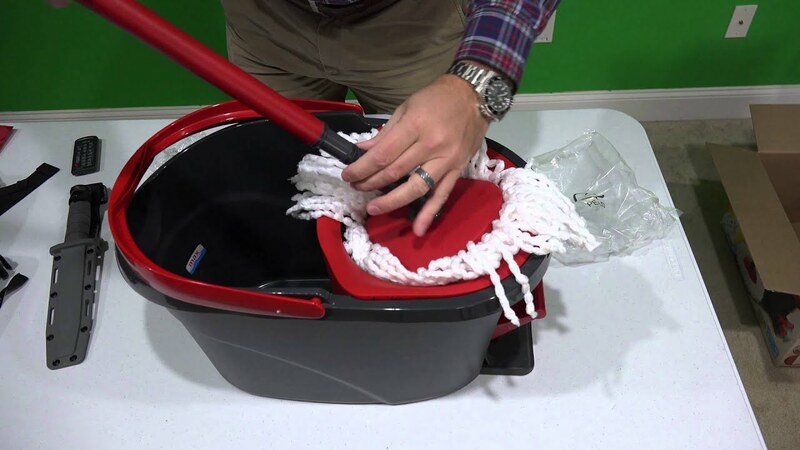 So, in this article, we will guide you through a step by step process on how to remove sp﻿in mop head and clean your mop with less hassle. The best way to give your spin mop a wash is to remove the head and wash it. You can also do it in a washing machine if your head is not attached completely to an external holder. 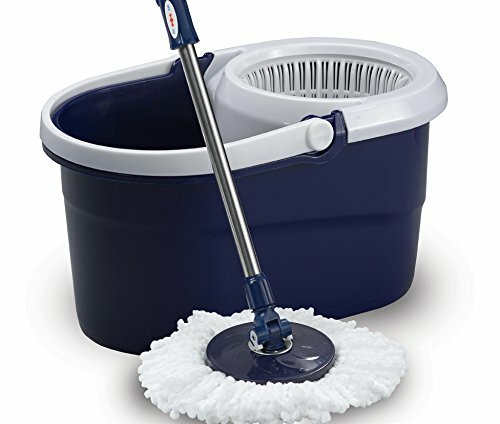 In a spin mop, you are likely to remove the head in order to give it a wash. The best way to do it is to watch for some small markings of twists and turn on the head. Step 1: Check the head for a moving pattern if there is any. Most of the heads come with a removing embedded instruction. Find that and your problem is solved. Step 2: In case you don’t find any, try twisting the head with your hands. There is a good possibility that it will turn in a definite direction. After you see the twist, try pulling the head gently off the shaft. In that way, you will remove it from the shaft and it will be in a completely washing state. Step 3: In case both the above things fail, try using a little strength in moving the head. There is a good chance that your force will not hamper the product. Remember that you don’t need to be a Viking barbarian warrior on it. Take it gently and it will do just fine. After you remove the head, try removing the attachment and make it more convenient for you to give it a wash. Step 4: If you want your spin mop head to be washed in your washing machine after you remove it, the preference would be to find a way to remove any extra attachment. If there is an attachment to the clothing or the rubbing material, there is a good chance that it can damage your washing machine very badly. In order to avoid that, try finding a way to remove the attachment first. Step 5: Most of the mops come with a removing feature. If it doesn’t then you always have the conventional way of doing it. Just take it in an area where you can drain the water comfortably (it can be your bathroom, rooftop etc.) and wash it. Step 6: Since you are most likely to wash the head after a considerable amount of cleaning session, you must consider using a reagent in the cleaning process. There are many reasons why you need to do it. The most important of them is that you are most likely to use a mop for a cleaning session. If the mop itself is not clean, how on earth do you think that it will serve you the purpose that you have purchased it for? Habit: Our brain works on a subconscious level mostly. It works on the replacement protocol that is derived from the little things. So, if you have a habit to remove your spin mop head and give it a wash every once in a while, it will help in building the other cleanliness habits. Try it. You will be surprised by the way it works. Hygiene: The biggest reason why you should give your mop a regular wash is hygiene. The thing that you are using to clean your entire premises is not to clean itself. Fancy that! You don’t have to be a psycho germ killer, but it will help in maintaining a good hygiene. Disease defense: Since mop is an organic product at the end of the day (or at least the cloth build cleaning part is), there is a possibility that it may give a good sanctuary to many diseases. While wiping, you are actually spreading them across the house. To avoid that, give your mop head a wash. Trust me, it will do no harm. Self-satisfaction: It’s your home, you need to clean it. You can’t expect anyone to do that for you. So, as long as you are determined to bring a healthy sense of hygiene to our home, you can’t expect any other member of the family for the association. Another thing to remember here is that you only attract product people with cleanliness. If you are clean, you will attract positive people who are good for your own self-development. So, it may seem a little thing, but it is not. This entire article is dedicated to the readers of the information seeking class. It is not a very big issue for you to sweat, but for some perfectionists with a sole desire to accomplish everything with perfection, this is a contributing contribution. I hope you like this article on how to remove and ﻿clean your spinning mop head. Let us know what you think in the comment section. If you think that this article is informative, please share and help someone else in need. Thank you for reading.